Every year the Nia Technique releases four new teacher routines that Nia Teachers embody, learn, and share with their students. I'm fortunate to have had the experience to choreograph and film two of my routines, Dragon and Soul. Each routine has it's own musical imprint, theme and focus. Click the routine images below to buy the music on nianow.com! Focus and Intent: The focus of Dragon is the foundation, connecting to Earth and the power of Earth’s gravitational force. The Intent is to sense body weight shifting and balancing along the smile line as well as down the legs. Unique to the routine DRAGON is the attention to the Martial Arts with dancing stances and slow movements evolving to fast. 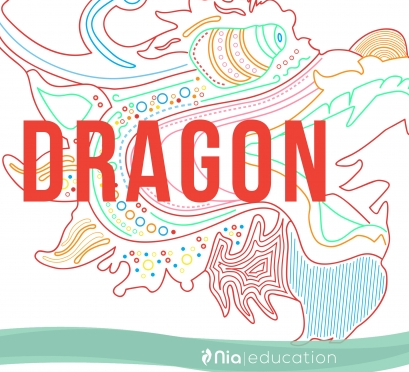 Allow yourself to let go and use the unique dragon imagery and Asian visuals to take you on a mystical journey as your students follow. Focus and Intent: The focus of Soul is the 52 Moves. The intent is to bring dance into the language of Nia. SOUL brings the spirit of the 52 Moves to life as you dance creative, simple, and complex combinations. Earthy and raw, this routine blends the percussive, live instrumentation of Native American music with thick electronic beats, awakening the primal dance within. When dancing to this genre of music, each move can be felt like a natural hot spring that bubbles up your body, filling you with the sensation of pure rejuvenation.